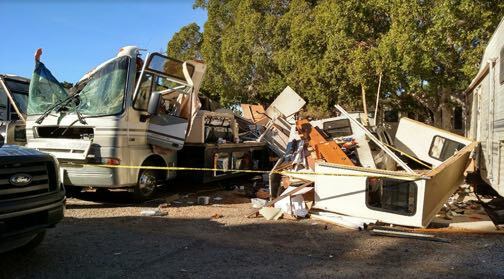 Propane leak blows up motorhome. See pics. Horrible! 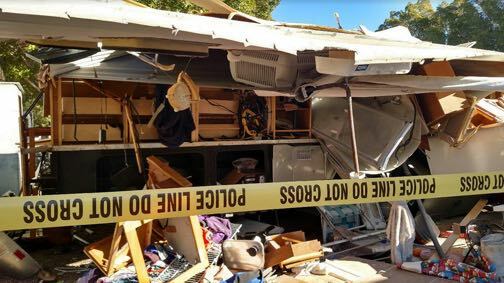 The owner of the motorhome, Dave wrote, had reportedly tried to light a leaky propane heater, which led to the devastating explosion. Dave reported that a retired pastor received burns over 85 percent of his body, and had been given a five percent chance to survive. His wife and their two dogs were shaken, but okay. The incident occurred at the Riverfront RV Park in Yuma, Arizona. UPDATE: The pastor died from his injuries. Editor’s note: Although we have no idea whether this family had a working propane detector on board, this serves as a reminder to always have one to be safe (and to be sure its batteries are good). Feel free to come on down the the site so I can update you on the facts of the case. I will be here for a while. People with older rv’s need to check the dates on all their alarms. Most sensors are good for only 5 years and need to be replaced after that. 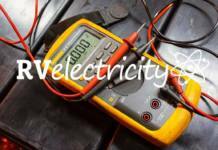 The test button only checks the alarm circuit and DO NOT test the actual sensor. That seems unecessary. 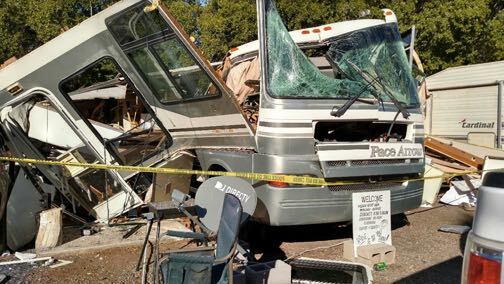 Do you know for a fact there was not a detector on this motorhome? I knew this pastor for 30 years, and he was by no means uneducated or unfamiliar with a motorhome. Please check your facts before making statments that are upsetting to family. With that statement our reader was simply hoping to influence other RVers to be sure they have a propane detector. No “facts” were involved. Well, the pastor died from his injuries. Its tragic and heartbreaking for the family. This also why I no longer drive down the road with a propane tank turned on. Many don’t know that propane is heavier than air, unlike natural gas, and will pocket until there is a ignition source or a stiff wind. Devastating,having a 10 yr old class b,its a big concern to make sure all is safe,stories like this hit home,hope those folks fully recover. The explosion woke my wife and I up …we were two rows over. Some LP detectors do shut off the propane at the tank. Some USED TO shut off the propane but…. they are very old and long past their ‘best before’ dates. to be replaced. Unfortunately, none of the replacement models do that any longer AFIK. It would be a nice feature for LP detectors to have the ability to shut off gas upon a predetermined detection level.